Yuzvendra Chahal rose a spot in the ICC ODI bowling rankings after the 5-match series against New Zealand. Indian bowler Yuzvendra Chahal on Monday joined the top five club in ICC ODI rankings for bowlers. The right-armer, who was the joint second-highest wicket-taker in the series along with Kuldeep Yadav with 9 wickets, climbed up one position to take the 5th spot in the rankings. 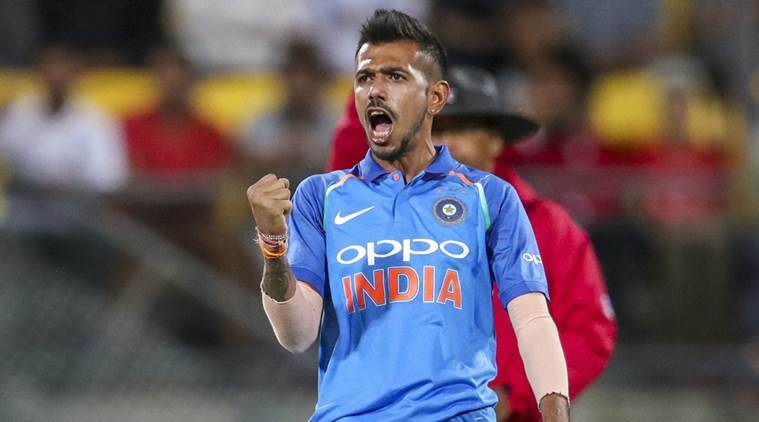 Chahal, who bowled at an average of 24.33 with an economy rate of 5.34, is now the third Indian bowler along with Jasprit Bumrha and Kuldeep Yadav to make it into the top five. Bumrah, who was rested for the ODI series against Australia and New Zealand, maintained his top position in the rankings. Yadav, who picked up 9 wickets in the series, dropped one place in the rankings to slip to 4th position, while New Zealand seamer Trent Boult, who was the leading wicket-taker with 12 wickets in the series, rose seven positions to take the third position in the rankings. New Zealand, who slumped to 4-1 defeat in the series against India, slipped one position in the ICC Rankings to go from 4th to 3rd position. India, despite the big win, remained in the 2nd position, four points below table-toppers England. In the batting rankings, Indian skipper Virat Kohli and vice-captain Rohit Sharma retained their top two spots, while Shikhar Dhawan slipped two positions to go 10th in thee rankings. Indian wicketkeeper MS Dhoni also saw a jump of three spots in the batting rankings to reach 17th position.